It's the first Nintendo Download Update of the year in North America, and the headline release is a much-requested N64 title on the Wii U Virtual Console. Beyond that there are some interesting Indie options to consider, so let's get to it. Missed the European Nintendo Download Update? No need to wail in anguish, the details are still right here. 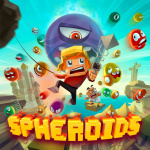 Spheroids (Eclipse Games, $7.99) - This game mixes the bubble-popping mechanics of Pang / Buster Bros. with the 2D plain-swapping gameplay of Mutant Mudds, and it certainly looks rather promising. 32 levels are promised across 8 locations, and we'll see how it shapes up in a review. 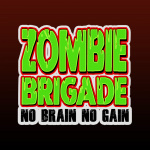 Zombie Brigade: No Brain No Gain (Cypronia, $4.99 or free until 9th January for owners of Cube Life: Island Survival) - This is a runner that makes heavy use of memes (or things claiming to be memes) for comedic effect. That should give you an idea of whether this appeals to you on any level. CUP CRITTERS (RCMADIAX, $1.49) - Previously released on the New 3DS eShop, this is all about managing gravity and manipulating balls into cups, with setting a high score being the main aim. Pokémon Snap (Nintendo, $9.99) - This quirky on-rails-shooter-nature-camera-sim-thing of a game finally arrives on the Wii U Virtual Console in North America. It's a fan-favourite, for sure, and its impact was such that the topic of a new entry for the current generation never truly ends, albeit we're now in an era of Pokémon GO. We enjoyed the ride in our most recent Pokémon Snap review. Quiet, Please! (Nostatic Software, $2.99) - A version of The Quiet Collection for the portable that features three games instead of four; this collection includes Quiet, Please!, Quiet Christmas and Vacation Vexation. You can get a sense of what we think of these quirky experiences in our The Quiet Collection review. As always, Nintendo of America is keen for you to browse the eShop and visit the official sales & deals website for discount details. Games confirmed to be reduced this week include Nano Assault EX, Midnight 2 and Soccer Up Online. That's the line-up for 2017's first Nintendo Download Update in North America. Let us know what you plan to download in the poll and comments below. "This is the way the world ends. This is the way the world ends. This is the way the world ends. Not with a bang but a whimper." Well, Pokemon Snap is fun, so maybe not that dire, but once the Wii U finally dies, there will be a certain peace in seeing the old girl finally rest. I've been looking forward to seeing the Quiet Collection on 3DS, so probably I'll get that if nothing better happens to be on sale. Wow, 3DS owners have it rough this week. Wrong spelling of "plane" in the Spheroids write-up. Watch those homonyms! I love how Pokemon Snap VC comes out after the 20th year. @allav866 meh we all have a massivr backlog to work with, so we're set. Quite please should be the headline theme of this topic, literally! Yeah that would be cool. But I think I read somewhere that the Stadium games were partially made so that you could see your Pokémon battle in 3-D environment stages and models, which you can now do with the later generations of games on 3DS so they probably won't be making new Stadium games or spending resources on the old ones. Which seems silly because I'm sure a lot of people would pay to download the N64 games just on nostalgia alone. Plus there were some fun mini games and stuff too. Oh well! Nintendo needs to do better. The VC releases are horrible and we have to re-buy the same game over and over and over and over and over and over and over......you get where I'm going with this. Nintendo has so many games that they could easily release on their current platforms. Yet, they keep on releasing the same titles.. I wonder why Quiet Please has all but Candy Please in it. Don't worry; once Switch is out you can start collecting them all over again when VC requires a small price to upgrade. 2 dollars for a Wii U upgrade for Pokemon Snap Yes Please. After that massive sale last week. My wallet can rest! Hey. Maybe My Nintendo will give out a discount for Pokemon Snap. Maybe they'll give out discounts to games people don't own yet. I can only hope that VC for Switch is handled with a far less "let's reach into a hat and pull a number" methodology, but not holding my breath. Us 3DS owners have it rough nearly every week, especially if the VC is your primary reason for gaming on the go. I will never understand why Nintendo treats 3DS VC as an afterthought while offering Wii U VC on a 1-2 game per week basis. The Wii U failed, even though it was a good system, so why wouldn't they pump more resources into the 3DS's twilight year(s)? I've said it before, and I'll continue driving the point into the ground: Where are the missing NES games on 3DS that appeared on the Wii U (Double Dragon 3, Bayou Billy, Startropics), or on the3DS in Japan (Final Fantasy 1, Shadowgate)? The SNES side of the 3DS VC has me worried. Though Japan is starting to get support from Square Enix, I'm not seeing any sign that NA will receive any support from anybody beyond Capcom and Konami. Don't get me wrong, their games were some of the strongest for the system, but I would love to have Final Fantasy II/III, Chrono Trigger (I do have the DS rerelease, but I love having a digital library), and Secret of Mana/Evermore (?). Sorry to interrupt the gloom and doom, but I've been hoping for this! Pokémon Snap came a little too late for me, I'll personally be holding off until I have confirmation on whether or not it ends up on the Switch. A few months ago I would've likely picked it up right away. @BanjoPickles I think we need to accept that SNES VC was a major scam to sell their mid-lifespan hardware. Over here, I'm still wondering where Vs. Excitebike went. Even if the Wii U WAS a financial powerhouse, it's not like people buy consoles for a handful of old games. Making them suddenly console-exclusive was nonsense. I've never played Pokemon Snap and I don't think I'll enjoy it, but I think my kids will and I know my wife will so I'll buy it. I'm really hoping for Star Fox 64 next week. Does Europe already have that one? You're probably right. Unfortunately, I got roped in because I've wanted a portable snes library, without having to rely on faulty emulators, for a long time. Granted, it's nice having a near comprehensive first-party library (save for the games that we won't see, such as Starfox, Yoshi's Island, etc. ), but it'd be nice to get Square Enix, Natsume, etc. on board. What I can't figure out is why Square Enix would throw their support towards the Vita, a handheld that has sold a fraction of what the 3DS has sold. Pokemon Snap! 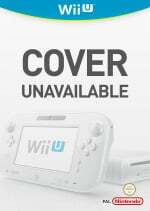 The Wii U is now ready to rest in peace. @BanjoPickles Yeah, I definitely hear that. I think most of us wanted it, but Nintendo seems to have only been interested in selling its Top 10 list to get a few more N3DS sales. I actually have no idea either, but Square Enix's PS Classics output has definitely been an example of how to release a back catalogue at a reasonable price and with variety (i.e., not ALL AAA masterpieces, getting some hidden gems in there too). No idea why Nintendo waited this long to release a Pokemon game but since its out for $10 I'm guessing my kids will chip in their allowance this week to pick it up. We've been having fun looking at Promtpo's photographs each night in FFXV so this is actually pretty decent timing for us. Exactly! They have essentially released their entire PS1 library, save for Dragon Quest VII. Luckily, I have a Vita (primarily for the classics), and I have every 32-bit Square Enix game downloaded to it. I'll drop the two bucks on upgrading Pokemon Snap, but otherwise another nothing week. @leo13 You Will enjoy it! Spent 100s of hours on it back in the day. Beating scores, perfect pics. @SH007ME I had to work early or I was getting this and Snap. Cube life has been a lot of fun. Kids and I spent many hours playing and even more with the major update. @BanjoPickles Nice! I wish I had a Vita, but only for that reason which is why I don't have a Vita. I'll be snapping up Pokemon Snap at a later date. It's a nifty system if you temper expectations. You'll get some awesome oddities/indies (Hotline Miami is awesome), PS1 Classics, Some great rereleases (Persona 4, Final Fantasy X/X2, Metal Gear Solid 2 and 3), and some fantastic remakes (Grim Fandango, Day of the Tentacle Remaster). Sony never figured out how to properly do handhelds. I remember when they first announced the PSP, they claimed that they were going to lift handheld gaming "out of the gutter." Honestly, if handheld gaming was ever in the gutter, Nintendo themselves were the ones who lifted it out of said gutter with unique handheld experiences. As much as I enjoy the occasional console experience on the go, that isn't what sells a handheld and that was Sony's biggest failing. If you ever see one on the cheap, though, I would recommend it for the wealth of classics and awesome oddities. Also, if you're a fan of JRPG's, it's even better! And vita is better than 3ds. Sony failed miserably in its marketing and that's really the only reason it's not selling well. @BanjoPickles Thanks, I'll keep this in mind! I actually didn't know it got X/X2, so that's cool. To be honest, what swayed me on the 3DS initially was the Vita's proprietary memory cards, but if I could find a unit cheap like you said I wouldn't hesitate! Oh, the price of their memory cards is attrocious! I picked up a 64 gig for $100, which is absolutely insane and is half of what I paid for the system itself! I have an equally-large sd card for my 3DS, that I snagged for about $30. It depends on the type of game. I think that the first party releases on 3DS have been fantastic (Luigi's Mansion, Fire Emblem, Link Between Worlds, Mario 3D Land) and there have been some awesome games on the eshop (Shovelknight, Phoenix Wright, Pushmo), but third parties seem to have abandoned it, for the most part. That said, I'm excited about the Switch, but also a bit bummed because this is probably the last dedicated Nintendo handheld, and I'll actually miss the 3D! When it was used in the right way, it was awesome (The M2 3D Classics, Link Between Worlds, Mario 3D, etc.). Too late. It took Ninty four years to come out with this. Holy cow. Some scraps of garbage, that's about it. Mario Party 2 last week, Pokemon Snap this week. I'm loving all this nostalgia, I picked up both and had a blast with the GF playing Mario Party 2! Just one new 3DS game? Pokémon snap belongs on the 3ds. @dublae People should confront them directly on social media. @BanjoPickles If the Switch fails, they will come out with a dedicated handheld. I always thought that it was a boy. I also always thought the Wii U was genderless because it's an effing (brilliantly fantastic) machine. @iGen Handhelds were boys and consoles were girls. Now gender is pointless. Instead of the Sandwitch, it should be the Sand(s)witch. @iGen I was actually considering doing it that way, but I wasn't sure if that looked too awkward. I'll try that out for a while. @dublae Nintendo just ignored them? Gender was pointless from the beginning. Most of the times @Crono1973. But I can see from a corporation's perspective. You want to run your company internally, not external. It doesn't hurt to send them a letter of your dissatisfaction with a service they provide. @dublae Customers shouldn't see things from the perspective of a corporation, it's why things don't change. You don't need to be understanding as a consumer. @dublae Nintendo is not an immovable force as is proven by Nintendo doing what they said they wouldn't in regards to mobile. @ProjectCafe My console's genders are whatever I want them to be. ...Why would you want to date your console? ...What's with the late replies? @ProjectCafe I don't come here very often. ...Why? You can set it so that you get email notifications. That's how I found out that you replied here. @ProjectCafe I know, but I don't check my associated email very often and the emails get erased when I don't check frequently enough. That's Excite for ya. Besides, I'm not really invested in Nintendo right now, and I get annoyed when my posts get censored.